Bodegas Ribera del Duratón is the result of the Magaña Family's love for wine. 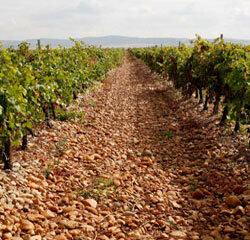 In 1985, Luis Magaña, great passionate and connoisseur of the vineyard world, discovered this farm in Valtiendas. It’s a privileged area for the cultivation of the vine because of the complexity of the land, its altitude and the microclimate. After studying the soil in depth, he decided to plant varieties of Tempranillo, Syrah (pioneer in the Castilla y León area) and Malbec. In this family project, his two daughters, Natalia and Sofia, are in charge of the technical and commercial part. Natalia Magaña obtained her national diploma in oenology in Bordeaux. Luis gathered his experience in some of the most prestigious Bordeaux Castles to capture the identity of his vineyards while the commercial work and international expansion falls to Sofía Magaña.